There are several projects that I'm working on that will keep me quite busy for the next few days. I just wanted to let you know that I'll be taking a mini-blogging break so that I can take care of it all. I'll see you next week. 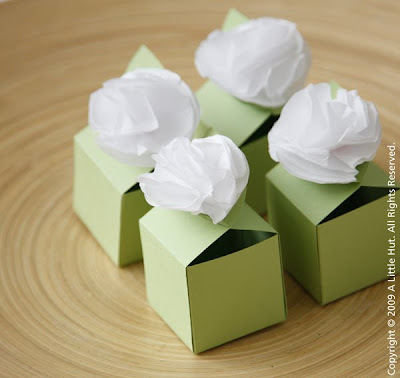 Flower Favor Box project found in Home, Paper, Scissors and featured in DIY magazine.